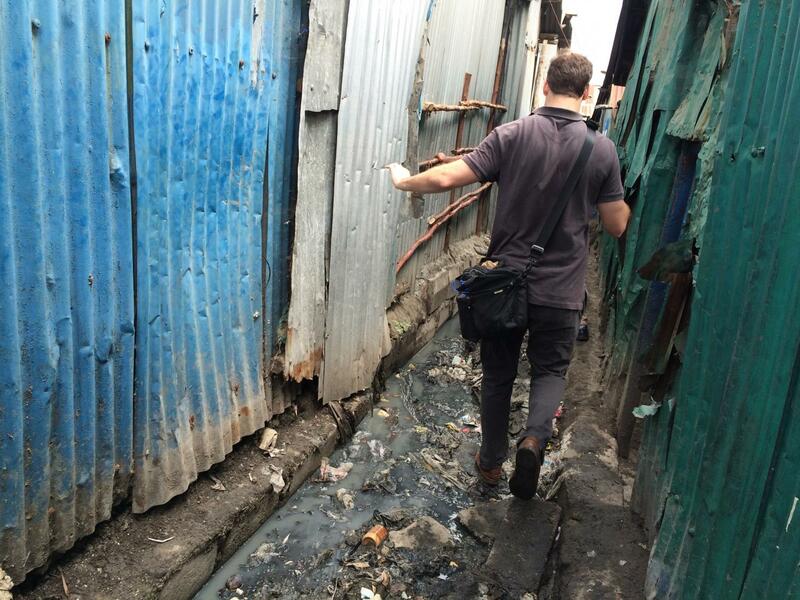 It’s rainy season here in Nairobi, and the dirt roads of Mukuru - one of the largest informal settlements in the city - have turned into thick muddy footpaths and fast flowing streams. The watery scene is a stark reminder of the near total lack of drainage systems and sanitation services, as all forms of waste are distributed in the swampy conditions. 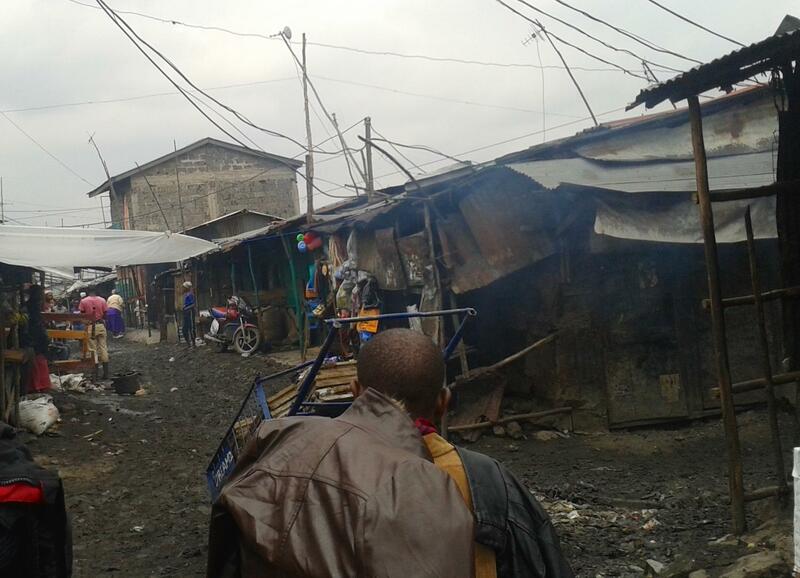 According to the UN, nearly 56% of all city dwellers in Kenya live in these slum-type conditions. 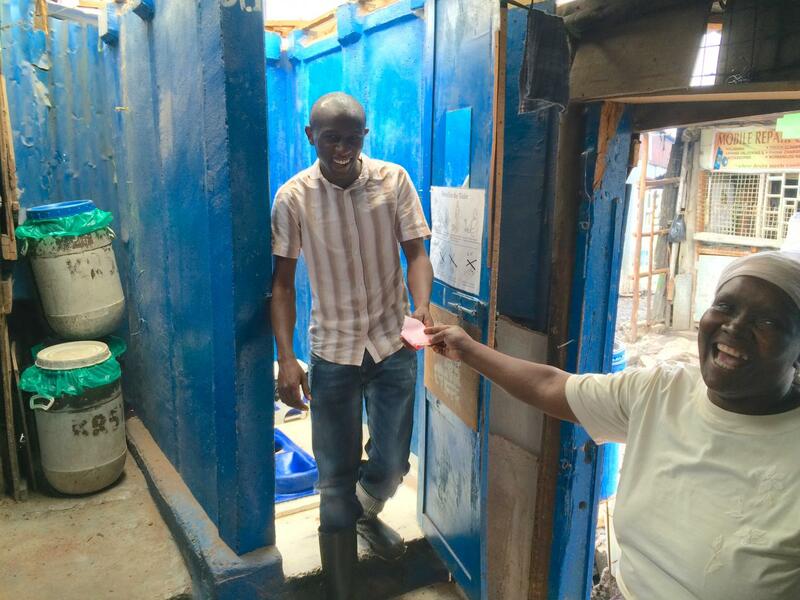 The Kiva partner Sanergy is one organization taking on the sanitation problem in Mukuru and other slums throughout Nairobi, specifically in the field of sustainable human waste management. The organization has developed the Fresh Life Toilet, which includes a low cost toilet facility and waste pick up and processing. The impact these facilities have on their immediate areas really can’t be understated. Rather then human waste being simply tossed out the front door, something known as the flying toilet, or washed down an open-air makeshift drainage system, Fresh Life employees pick up and transport the waste out of the slums to be processed. The results are a dramatic improvement in basic living conditions and a cleaner environment, impeding the spread of waterborne diseases such as cholera, typhoid, and diarrhea. The FLT, as it’s called, is franchised to local schools, landlords who provide the product to their tenants, and entrepreneurs who charge a small fee for each use. Kiva, for its part, provides the financing to these franchisees. One such franchisee, Leah, is spotlighted here. Leah, pictured above, is a small-scale entrepreneur in the informal settlement of Mukuru kwa Rueben in Nairobi. Before purchasing three FLTs, Leah along with her husband and two young boys, survived on a meager income generated from selling firewood and a small selection of secondhand clothes. Financial strains became increasingly more burdensome as the boys entered primary school, which required the payment of school fees and other related expenses. The children’s education being paramount, Leah began searching for new business ventures to cover these additional costs. When Leah first heard about Fresh Life Toilets she immediately recognized the financial opportunity. Her community was in desperate need of proper toilet facilities, and her neighbors could afford the small fee for the toilets usage. With access to Kiva funds she went ahead and purchased three FLTs. 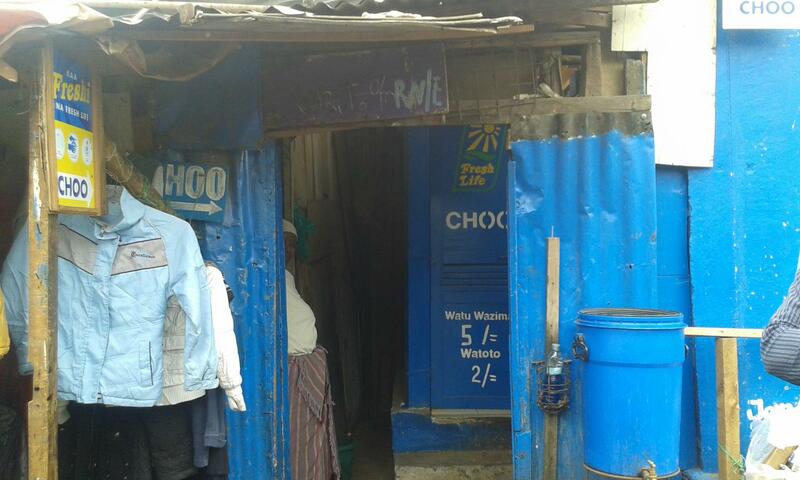 As you may be able to tell from the front of her shop, she charges 5 shillings (or about 5 cents) per toilet use per adult and 2 shillings for children (in case you haven’t guess yet, choo means toilet in Swahili). This may seem like small amount, but with a lack of bathroom options in the neighborhood, these shillings quickly add up. According to her meticulously detailed ledgers, she makes roughly 10-15$ a day or about 80-95$ per week, making her FLT business the breadwinner of all her business endeavors. This revenue makes for a nice return on an investment of roughly 450$ per toilet. Part of being a Fresh Life franchisee requires compliance to certain standards and procedures. This includes having proper washing facilities with soap and water, toilet paper and sawdust, proper cleaning equipment, directions on how to use the toilet, and maintaining a certain level of cleanliness that is checked regularly by Sanergy staff. 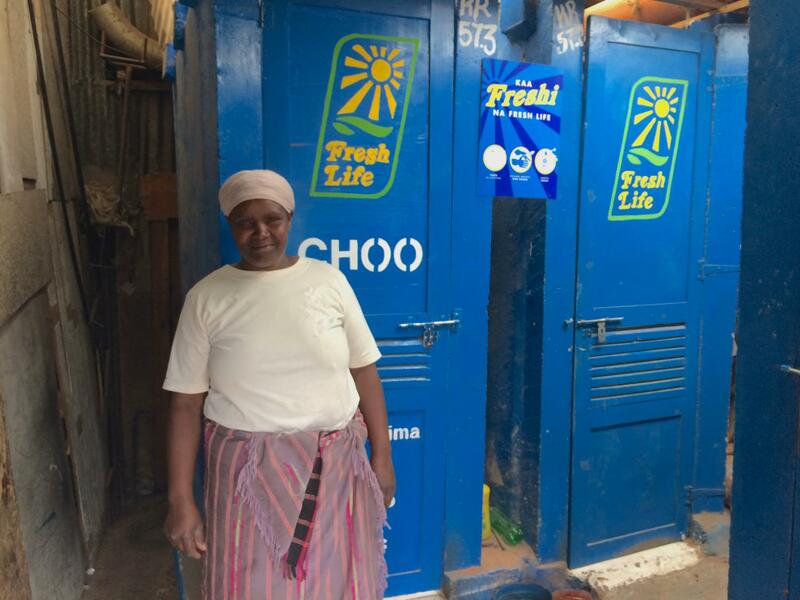 The toilets have not only provided a steady income for Leah and her family, it has also created a dramatically more sanitary environment for her and all her neighbors. Leah recalled in our conversation that once the main thoroughfare was littered with flying toilets and waste, today she notes, "this is a thing of the past”. Sanergy posts new loans on a regular and ongoing basis. Click here for new Sanergy loans and here for additional information. 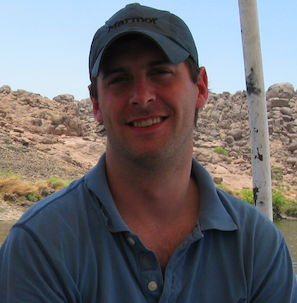 Originally from Massachusetts, Fred has lived in Ohio, NYC, Cairo, Egypt, and most recently Washington DC. After graduating college from Miami University in Ohio, he moved to NYC to work as a trader in the fixed income department at the investment bank Bear Stearns. His Wall Street experience also includes work at a number of large hedge funds where he worked as a trader in various capacities, with a focus on derivative products. Fred has always had the travel bug and a deep desire to work in the field of development and poverty alleviation. With these motives in mind he moved to Cairo, Egypt in 2009, initially to pursue a graduate degree and eventually began work at the American Chamber of Commerce in Egypt (AmCham), an organization central to Egypt’s investment promotion and development efforts. After nearly four years with AmCham, Fred is looking forward to taking what he’s learned in finance and development to his role as a Kiva Fellow. Other notable aspects of Fred’s background include military experience with the U.S. Marines, a variety of volunteer experiences, and previous work in microfinance including an internship at Grameen Bank.